If you loved the idea of the wild west growing up and you wanted to be Annie Oakley - a sharpshooting woman who could put any man in his place - then you're just like me and you'd love Terlingua. You've probably never heard of Annie Oakley, that's ok, google her. 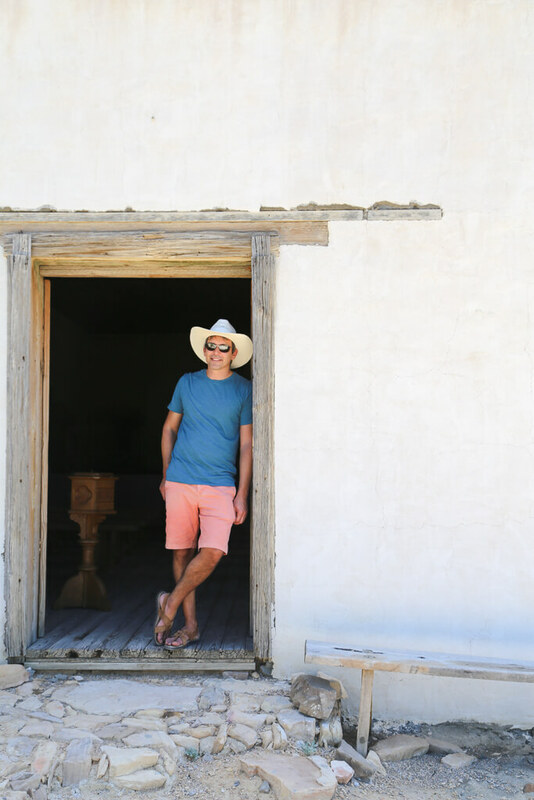 You'll still love the ghost town Terlingua in West Texas. Terlingua is a tiny speck of a town in West Texas. As of the last census, the population was a whopping 58. However, at the end of the 19th century, Terlingua was a thriving mining community. The region was rich in cinnabar, which was crushed and turned into quicksilver/liquid mercury. The Chisos Mining Company mined Terlingua, peaking at the turn of the century. The company, and therefore the town, prospered, opening a hotel, company store, a school, post office, and bringing in a doctor. World War I brought a peak in quicksilver production and Terlingua provided 40%. Unfortunately, by the 1930's production had sharply declined and by the 40's Chisos was riddled with debt and filing for bankruptcy. Terlingua was abandoned and became the ghost town it is today. Luckily in recent years, it's come to life with tourism, with its famous annual chili cook-off and proximity to Big Bend. Wait, where did you say it was? It's an easy 8-hour drive from Austin, it's FAR WEST. It's nestled in next to Big Bend National Park. You're gonna need some music for the drive so download Jerry Jeff Walker's Viva Terlingua! album to get in the right mindset. You're welcome in advance. Accommodation in Terlingua is rustic. There are small motels in town, but in my personal opinion, Airbnb is the best way to find places to stay in Terlingua. You're sure to find a retro trailer or a teepee for a unique experience. I chose our place based on the host's ratings: over 60 ratings and not one below 5 stars. It was the best Airbnb experience I've had to date. Airbnb is my favorite kind of accommodation when I travel. Nothing beats living like a local or the benefits of access to a kitchen or living space. Click here to check out Airbnb rentals available for Terlingua and get $40 off your first stay. Ours was called The Little Dipper/Area 118. Check out that outdoor kitchen. We cooked our dinners and ate under the stars. Once our host even pulled out his guitar and I was treated to a serenade. CHILI PEPPER CAFE | We had a decent breakfast here, affordable and abundant. I got a plate of breakfast burritos and you can never go wrong with breakfast tacos or burritos or taquitos, and on it goes. THE STARLIGHT THEATER | Terlingua is famous for its annual chili cookoff so come get a bowl at the Starlight. Grab a drink and maybe some live music, this is the nicest restaurant in town. GROCERIES | If you plan on cooking your own meals or preparing lunches to take with you into Big Bend, it's not a bad idea to bring groceries with you from a larger town or city. There's a store in town that has all you need, but produce has to travel quite a ways to get to Terlingua and is pricier for it, and not as fresh. Have a seat and enjoy doing nothing on the porch of the Starlight and The Terlingua Trading Company. Have a beer and relax like a local. Walk amongst the mine shafts, take pictures in abandoned old cars, and walk up to the beautiful church. You won't find any mausoleums or marble statues here. This is a modest cemetery, with humble wooden crosses over graves dating back a hundred years. The oldest gravesite is dated 1903. Fatalities from mining accidents and mercury poisonings, along with the 1918 flu epidemic, filled the cemetery. Like many, we used Terlingua as a jumping off point for Big Bend National Park. The drive is 15-minutes to the park entrance., making Terlingua an affordable alternative to the lodge inside the park and still spend the entire day exploring and hiking. Overall, the best thing to do in Terlingua is nothing. Enjoy being disconnected, which will be easy with the zero cell service you'll have. The clean air, the stars in the expansive night sky, it was medicine for the soul. (I apologize for the cheese, but it's true). West Texas is my new love and I can't wait to come back for another, longer trip.